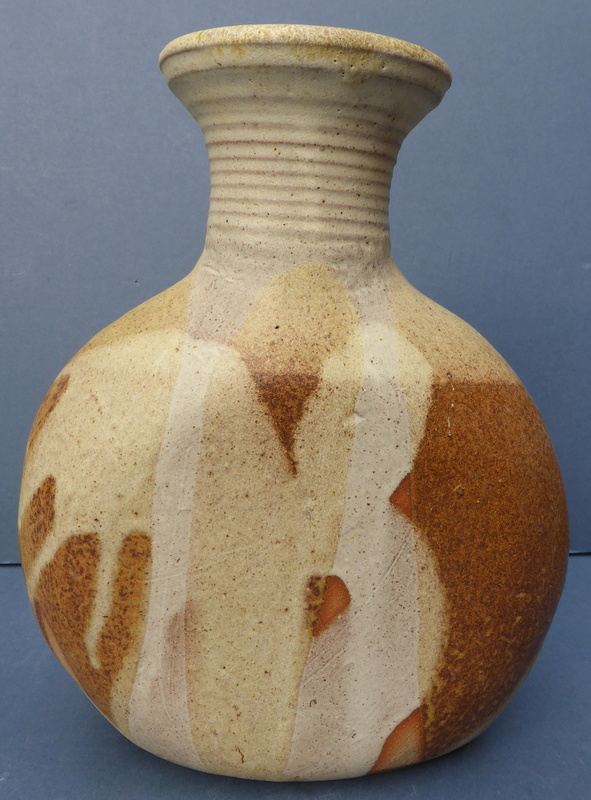 Hello again, I'm hoping someone might be able to identify the maker of this large studio pottery vase. 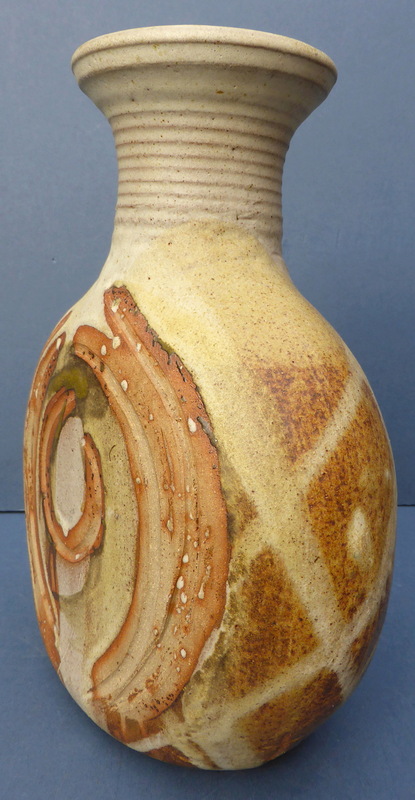 it's made out of stoneware with attractive swirl detail to the front. It's nicely potted and well made. I guess it dates to around the 1970s. Unfortunately it is unmarked. Could well be Shelf, they had stickers. Shelf Studio, maybe. 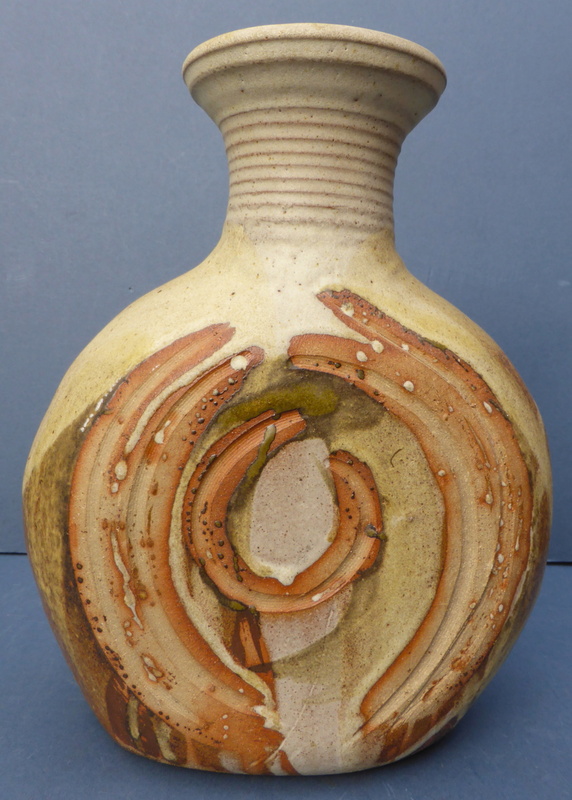 But Alan Wallwork’s pots often had a concave base like this one. I don’t know if he always signed them. Thanks both - I can see similarities to both Shelf and Wallwork. The colouring and texture of the clay appear to be right for both. Somehow the design seems a bit too 'organic' for Shelf? I hadn't even noticed that the base is concave so that's a useful lead to follow. I'll do a bit of digging around both Wallwork and Shelf to see if I can find anything with a similar shape/design, and see if I can find any Wallwork pieces that weren't signed. Thanks for the leads! 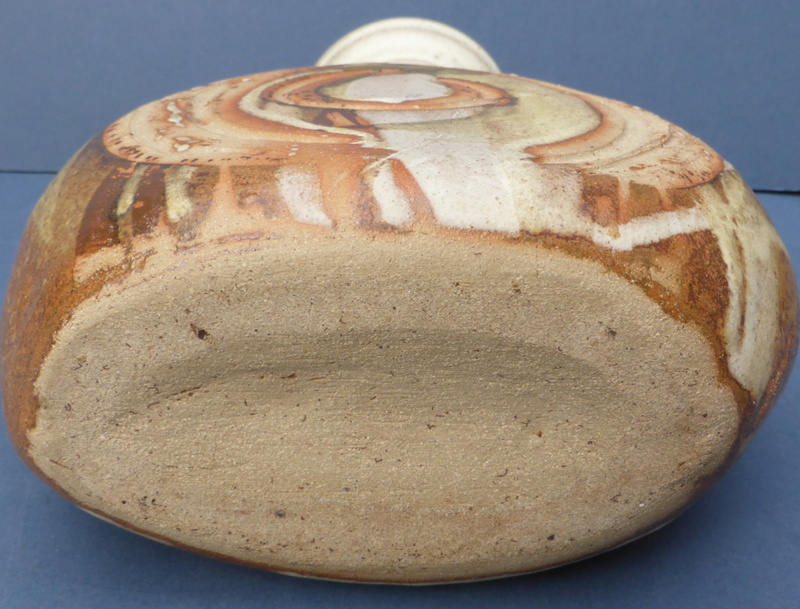 The ‘Shelf Studio’ arm of Shelf pottery made one off hand built pieces. They tended to have those clay rings grouped on the sides. Those throwing rings on the top. Never seen those on a Wallwork piece. Thanks for the info - I'll have a proper look at Shelf Studio, but in the meantime I have contacted a Wallwork forum for their opinion.